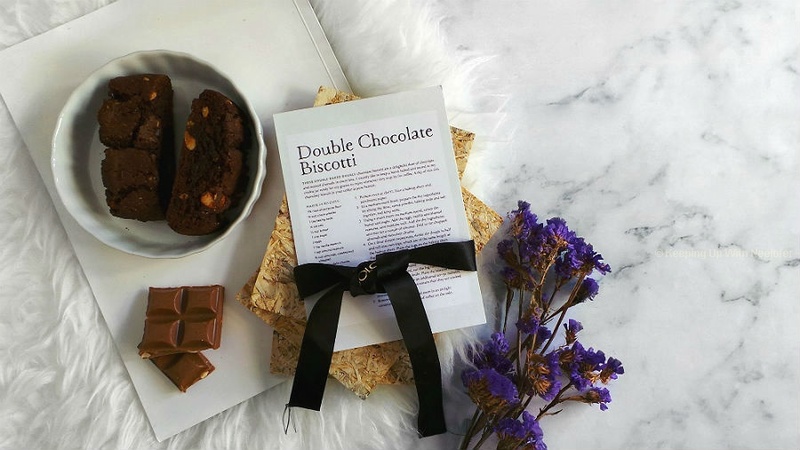 In an industry that is saturated with beauty products, there are only a few that become firm favorites and make it to the list of re-purchases. There are some that I love in an instance and others take a while to grow on me. One such brand that had the instant love effect is Palmer's. While the first product was a body lotion (discovered through Glambox), the product that caught my attention was their face oil. I loved the consistency and how my skin felt after using it. From then on, I went on to try their variations of body lotions (Coconut and Olive Oil are my favorite!) and was quite impressed by the brand and the overall performance of each product. For Valentine's Day, Palmer's sent across a his and her version of their classic Cocoa Butter body lotion. While I have used the lotion previously (it is one of the most hydrating lotions I've used), I was quite intrigued by the version developed for men. 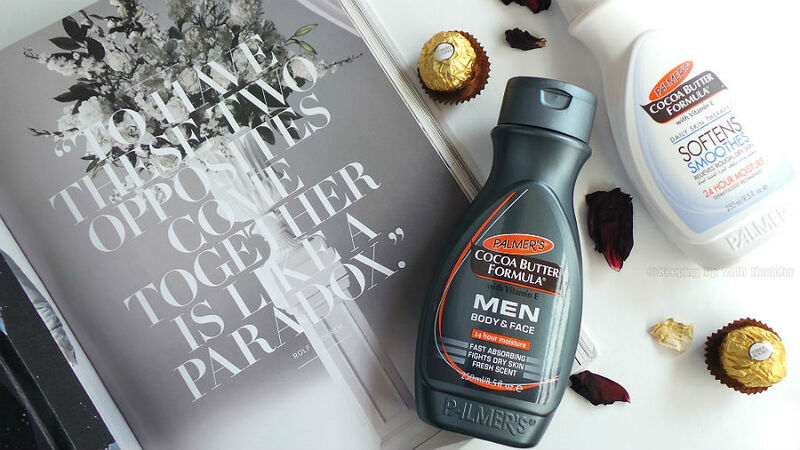 Palmer's Cocoa Butter Formula for men comes in a deep grey packaging and has a wonderfully fresh fragrance. It's the classic male fragrance of crisp citrus with hints of woody notes. It features the same consistency as that of the standard version i.e. buttery however, the best part is the fact that the lotion absorbs into the skin in a few seconds and does not have a greasy finish. The end result is wonderfully hydrated skin with a refreshing fragrance. I loved it so much that I ended up using it as well. Just a note though- while the fragrance is slightly on the stronger side when the lotion is first applied, it does tend to fade into a subtle one in about 10-15mins. 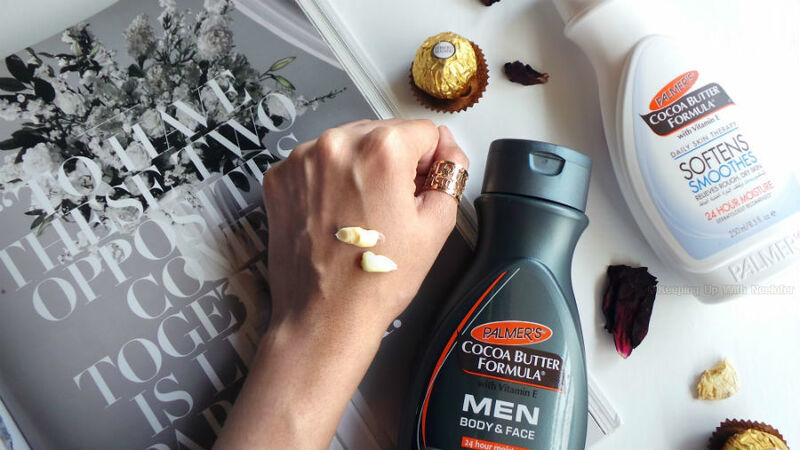 The classic Cocoa Butter Formula (white bottle) performs in a similar manner and keeps my skin hydrated for the entire day. It has a sweet whiff to it, so you might want to consider this if you have a sensitive nose. I've noticed the optimum time to apply the product is right after a shower. You need just one pump of the product for each arm (or leg/ other parts) and you are good to go. Cocoa Butter and Vitamin E, both key ingredients of the lotion is also known as nature's healers. Applying the lotion regularly will eventually fade away pigmentation, light scars and other similar skin concerns. I feel they are best suited for the winter season, when the weather decides to play havoc on the skin and we, by default don't consume as much water as we would otherwise. For the summer, I have my trusty arsenal of Coconut and Olive Oil versions ready! If you asked to me to pick one from the His and Her's range, I'd go for the former and this is primarily because it's a refreshing change in terms of fragrance. To top it all, you can use the lotion on the face as well and while it's best for men, a little bit of crisp citrus for the women doesn't hurt. After all, the perfume industry does have its fair share of unisex fragrances. Palmer's is available across major retailers in the UAE.